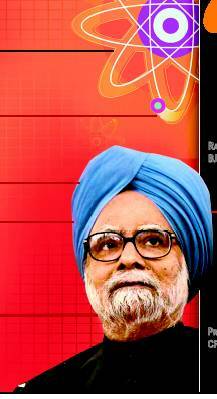 The UPA Government will immediately put in place policies to enhance the country’s energy security, particularly in the area of oil. Overseas investments in the hydrocarbon industry will be actively encouraged. A new coal distribution policy has been notified to meet the full requirements of the defence, railway, power and fertilizer sectors. While the growth in the first three years has been 7.4%, it however suffered a setback in the later part of the Plan mainly due to environmental restrictions, land acquisition and R&R issues, evacuation constraints and law and order problems in some coalfields. As per Annual Plan 2012-13 & XII Plan (2012-17) document of Ministry of Coal, CIL have proposed for an investment / capital outlay of Rs. 25400.00 Crores for the plan period. Annual Plan 2012-13 & XII plan 2012-17 document the coal production is envisaged to increase from 435.84 million tones (Provisional) in the terminal year of XI plan i.e. 2011-12 to 615 million tones in the terminal year of 12th plan i.e. 2016-17. Thus there may be an average increase of about 36 million per annum during 12th Five Year Plan. In order to fast track development of some of the coal blocks in CIL, it is proposed to develop these blocks through mine developer and operator (MDO). Modalities are being worked out in this regard. Coal production aggregated 539.814 Million Tonnes (MT) and Lignite Production 24.19 MT in 2011-12. 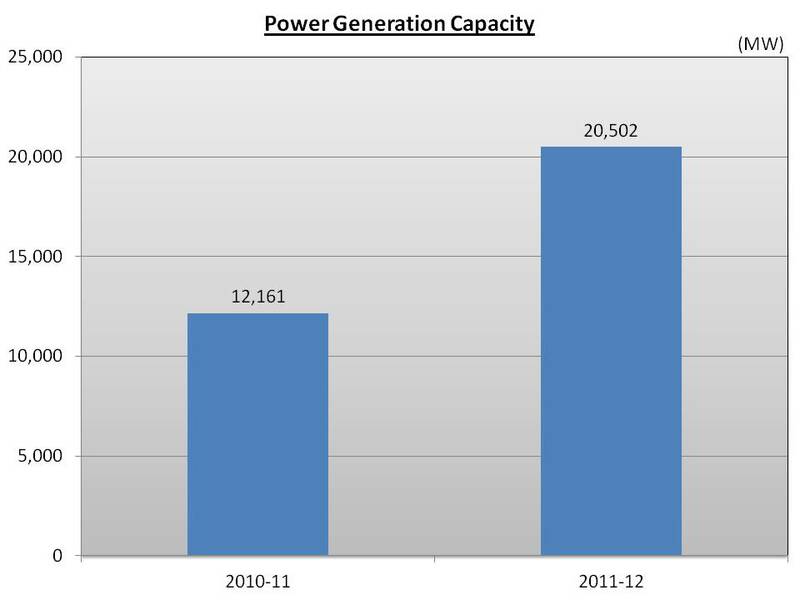 During 2011power plants with aggregate generation capacity of 20,502 MW have been commissioned. 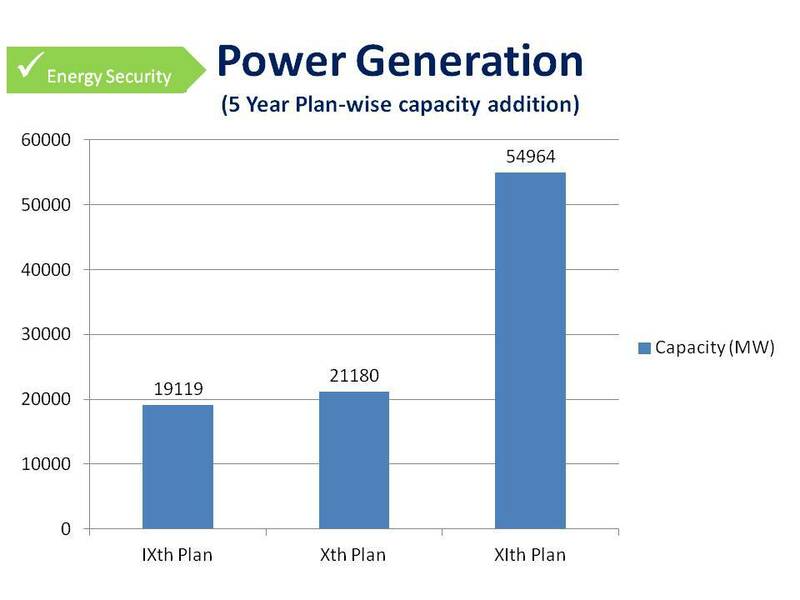 This is the highest ever capacity addition in a single year beating the previous best of 12,160 MW achieved previous year. 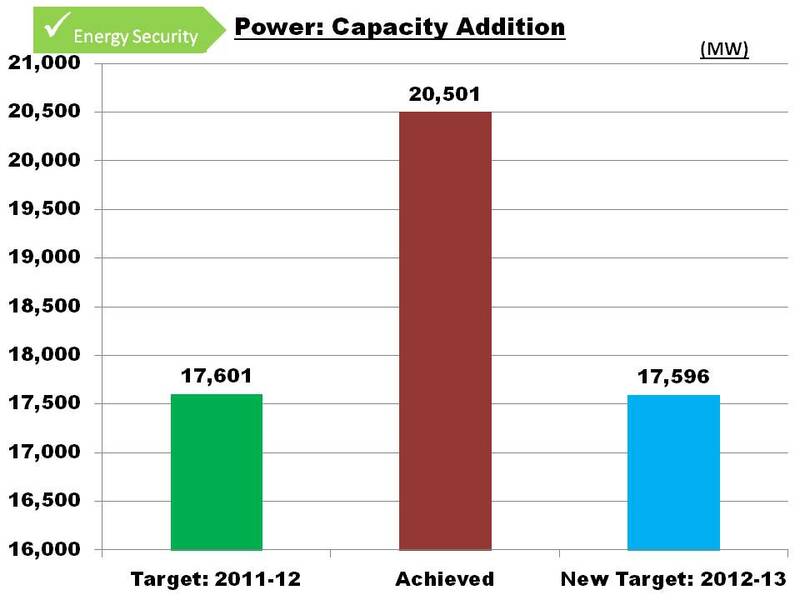 A capacity addition target of 17956 MW has been fixed for 2012-13. Since 2003, the wind sector has delivered an impressive compound annual growth rate of 29%. Last year, India was ranked in the top three countries in the world for new installed wind capacity. In 2011-12, power distribution projectsworth Rs9,595.46 crore have been sanctionedand an amount of Rs1,667.87 crore has beenreleased under the Restructured Accelerated Power Development & Reform Programme. In a bold move to remove fuel supplies bottlenecks, the Government has advised the Coal India Limited to sign Fuel Supply Agreements with the thermal power plants that were either commissioned during the 11th Plan or would be getting commissioned in the first three years of the 12th Plan and that have entered into longterm Power Purchase Agreements with power Distribution Companies. 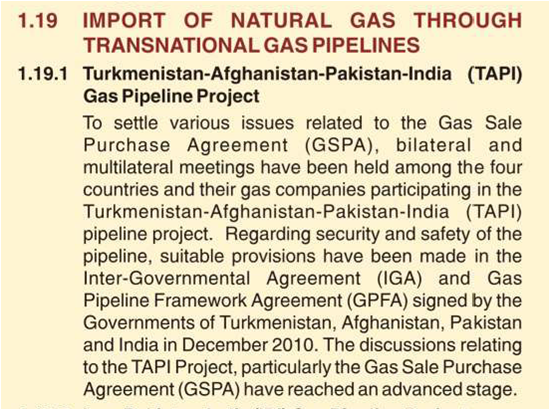 The UPA Government has placed great emphasis on enhancing energy security through rapid exploration of domestic oil and gas reserves, combined with acquisitions abroad. From 2004 to 2008 – The Government has awarded 72 explorationblocks in the last four years which has increased area under exploration by 30%. Domestic crude oil production was 38.085 million metric tonnes. In the First 8 rounds (2000 to 2010) of National Exploration Licensing Policy (NELP) , Production Sharing Contracts of 235 exploration blocks have been signed. 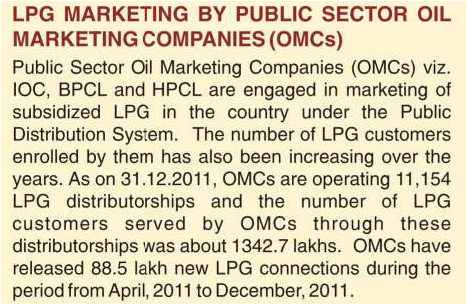 As on March 2012, India’s refinery capacity stands at 213.066 MMTPA. Coal Bed Methane (CBM) is an environmental friendly clean gas (similar to natural gas) 33 CBM’s were signed. As of now 250 CBM reserves have been established. 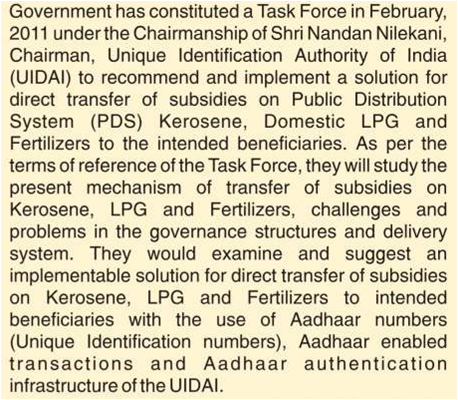 The government has rolled out Aadhaar Enabled Service Delivery initiatives in75 districts across the country now. 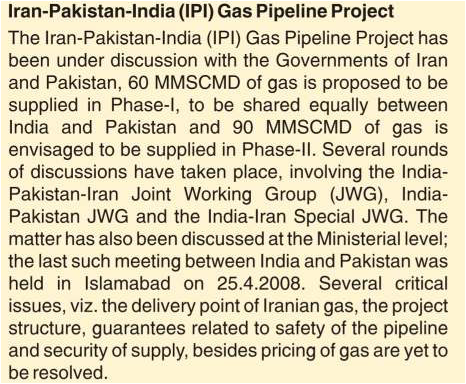 In 2011, Two new refineries came on line at Bina, M.P. and Bhatinda, Punjab. These Refineries would augment the availability of BS IV compliant fuels in Central and Northern Parts of the country. Reduced Customs Duty on petroleum products by 5% and reduced Excise Duty on Diesel by Rs 2.60 per litre. On March 23, 2012, the Prime Minister dedicated GAIL’s 2200 km Dahej-Vijaipur-Dadri-Bawana-Nangal-Bhatinda cross country pipeline to the nation. The pipeline project with an overall investment of Rs 13,000 crores covers 8 states namely Gujarat, Madhya Pradesh, Rajasthan, Uttar Pradesh, Haryana,Delhi, Punjab and Uttarakhand. This pipeline will not only interconnect the existing network but also meet the demand-supply gap of natural gas in the Northern region ofthe country. Completed in a record 45 months,the project will spur industrial development across 40 industrial hubs. The UPA Government continued with efforts to enhance nuclear power generation in the country while ensuring the highest levels of nuclear safety. The success of the Government’s international civil nuclear initiative was manifest in the highest ever generation of electricity from nuclear power during the year 2011 at 32,455 million units. In 2011, Nuclear fuel production also reached a record high. Total installed nuclear power generating capacity reached 4780 MW, with an additional 7 nuclear power reactors under construction, which will add 5300 MW of installed capacity. With the discovery of an additional 9620 tonnes of reserves of uranium oxide in Andhra Pradesh, Rajasthan, Meghalaya and Jharkhand, the country’s uranium resources increased to about 1,72,400 tones of uranium oxide. Two more uranium mines were also commissioned, taking the total number of uranium mines operating in the country to eight. The UPA Government has given greater focus on renewable power during the past four years, with capacity addition during this period being substantially more than that added during the preceding 15-year period. 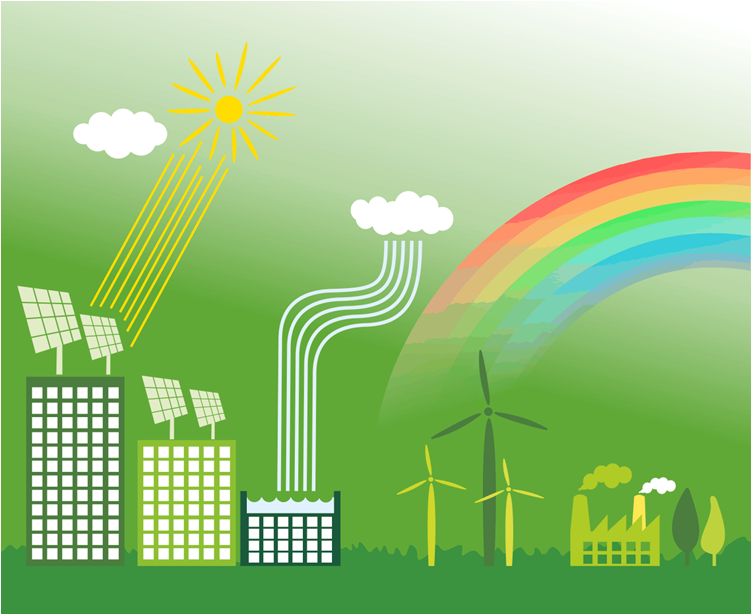 India has emerged has emerged as a leader in Asia, and holds 4th rank worldwide in wind power. 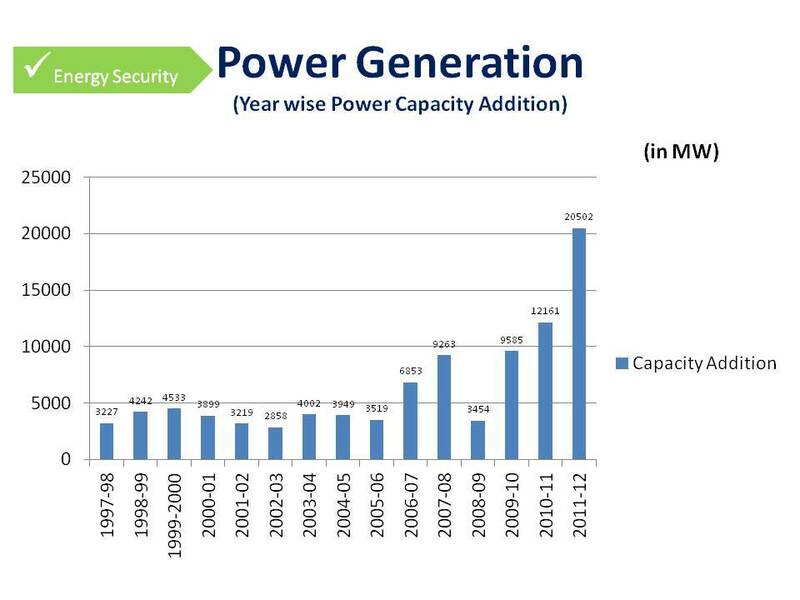 The total installed capacity of grid interactive renewable power has reached about 25,000 MW by the end of 2011-12. In 2011-12, a total of 1056 villages were covered by PV solar lighting system, which constitutes about 11% of the total villages/hamlets covered through renewable energy for lighting purposes till now .9600 villages were covered till 2012.